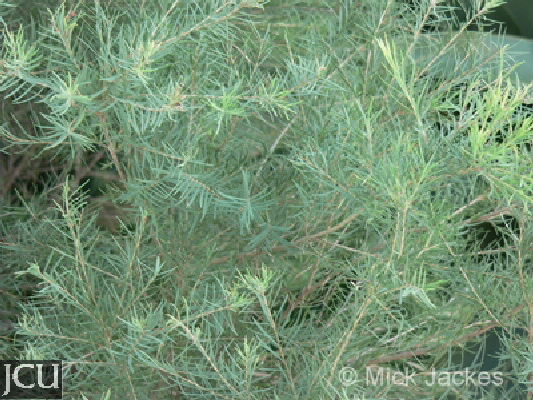 Previously treated as a variety of M. linariifolia this attractive native species, has linear to linear-lanceolate, opposite and decussate leaves to 3 cm long, arranged in 4 rows. Flowers are in spikes to 3 cm long, corolla white, staminal filaments less than 1 cm long. Capsule has the valves exserted. Melaleuca linariifolia is now restricted to southern Queensland and New South Wales.